Effective partnership working is central to the success of the Police and Crime Plan. To deliver essential services to our communities, your Police, Fire and Crime Commissioner, Julia Mulligan works with a wide range of local partner organisations. Most obvious is the daily collaboration with North Yorkshire Police and North Yorkshire Fire and Rescue Service to develop new ideas to achieve the goals of the Police and Crime Plan, and in the future, the Police, Fire and Crime Plan. 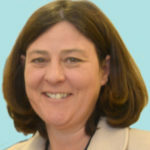 Julia also works extensively with local authorities, including North Yorkshire County Council and City of York Council. Partnership with the county’s health services – such as the clinical commissioning groups, NHS service providers and NHS England – is also important. What’s more, as Commissioner, Julia must work with each community safety partnership – statutory partnerships of the local police, council, fire service, probation trust and others who collaborate in their areas to reduce crime and the fear of crime, as well as anti-social behaviour, alcohol and drug misuse and reoffending. Each of these delivers key services locally, working with the Commissioner to solve local problems – part of the delivery of the Police and Crime Plan. Julia financially supports the partnerships and other community safety services across North Yorkshire. She also contributes to nationwide partnerships, such as 95 Alive, which is all about reducing the numbers of people killed or seriously injured on our roads each year. It is primarily financed through excess funds from speed awareness courses. There is also a reciprocal duty for co-operation between the Commissioner and criminal justice agencies to ensure that an effective and efficient criminal justice system operates in the local area. In North Yorkshire, these groups come together through the local criminal justice board and Julia works with it on appropriate issues – while recognising the independence of the Crown Prosecution Service and judiciary. Crucially, the Commissioner is separate to and distinct from North Yorkshire Police and the Chief Constable’s operational independence is enshrined in law.